The Warriors lose the second playoff final match against Peterhead 1-0, but win the final 2-1 on aggregate and secure their promotion back to League 1 at the first time of asking. Peterhead – Fleming, Leitch [b75][so90], McIlduff [ Johnston 62], McLean, McCracken [b37][so66], Ferry, Stevenson, S.Brown, Jo.Brown [Norris 69], Smith [Belmokhtar 80] and Gibson [b31]. Subs not used – Hobday, Adams and McAllister. Stenhousemuir – Smith, Meechan, M.Dunlop [Marsh 73], R.Dunlop, Donaldson, Ferry [b68], McGuigan [b63], Paton [b87], Cook, Scott and Ferns [Murray 80]. Subs not used –Halleran, McMinn, Longworth and Paterson. The final act of the season was a trip up to Peterhead in the League One Play-off final second leg. The Warriors were holding a two goal advantage going into the game thanks to a Michael Dunlop double and although this was a healthy advantage there was always a danger of the game being turned around against the League Two top scorers. The home side were missing Rory McAllister and Jason Brown from the first game whilst the Warriors were unchanged. 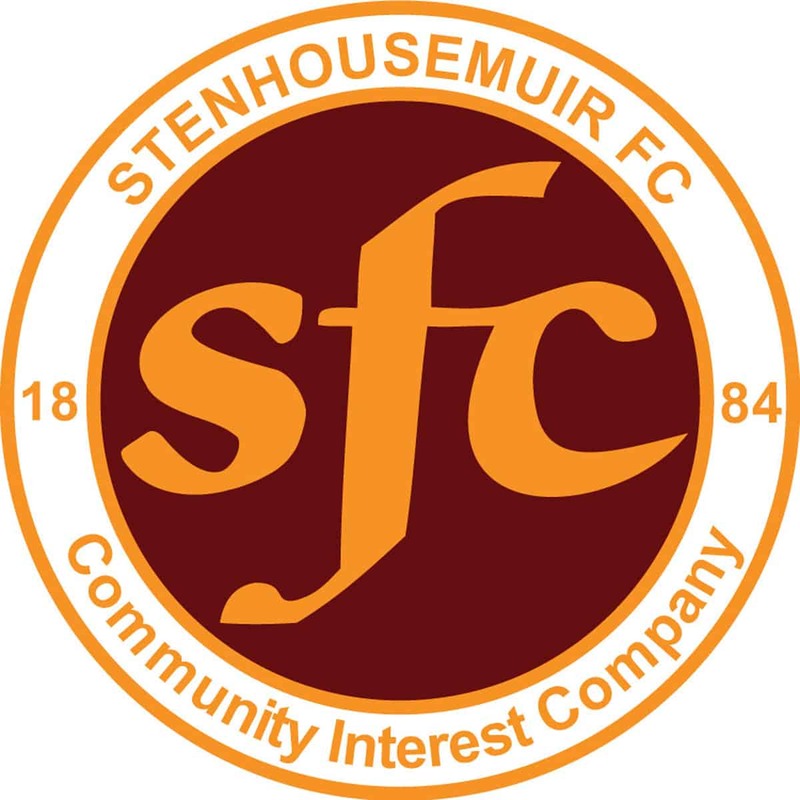 Stenhousemuir sought to add to their advantage throughout the first half as they tried hard to put the result beyond doubt. Indeed in the second minute of the game they should have taken the lead when a defence splitting pass found Mark McGuigan but with only the keeper to beat he fired wide of the target. Shortly after this Jamie Stevenson did well to thwart Harry Paton with a timely tackle as the Canadian was in the process of shooting. Peterhead responded with a Scott Brown effort that went just wide but it really wasn’t shaping up the way it was meant to be for the Blue Toon and this was borne out by Willie Gibson’s booking for dissent just after the half hour. The first 45 minutes ended without a breakthrough for the Warriors and there was a nagging doubt in some supporters minds that they would regret not taking advantage of their better play during that period. McGuigan headed an Eddie Ferns cross over the bar within a minute of the restart. There was a real let off though two minutes later when Jordan Brown’s header across goal picked out Stevenson but from only six yards out he missed the target. He tested Chris Smith in the 50th minute with a dipping shot and just after this another effort by Jack Leitch was tipped over the bar. This time though they were rewarded for their efforts as from the subsequent corner Russell McLean headed home against his hometown team. Greg Fleming saved a Ferns shot and McGuigan was booked for simulation in quick succession though the striker appeared to be hard done by on this occasion as there appeared to be contact. If that decision had upset some of the Stenhousemuir ranks it was the other way round in the 66th minute when he dismissed David McCracken for his second caution after he handled the ball having previously been booked for a foul on Paton. This of course made things harder for the home side but to their credit they kept pushing for the vital goal and they came close to achieving their aim on a number of occasions with the best efforts coming from Scott Brown and Willie Gibson. In stoppage time Peterhead’s chances effectively ended when Leitch was also sent off for a second booking as he fouled Innes Murray off the ball to stop him getting into the box to meet a cross. The final whistle blew with Peterhead winners on the day but Stenhousemuir victorious over the tie and there were scenes of jubilation for the players and supporters at the end of the game as the Warriors secured their return to League One after a year in League Two.